Every maker has a story. Be a part of designAnn's story by placing an order, leaving a review, and seeing your review appear here. 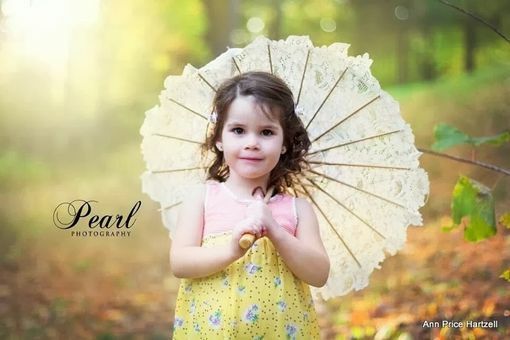 Lace parasols for the flower girl - custom made with your choice of lace and color. 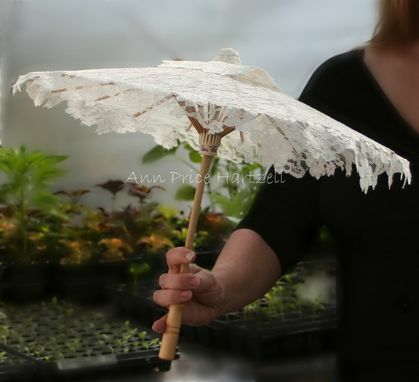 Perfect parasol for the flower girl or decoration.Chinese style parasol. Fully open, the canopy measures 20 inches across and is supported by natural bamboo ribs with 19 inch wooden handle. 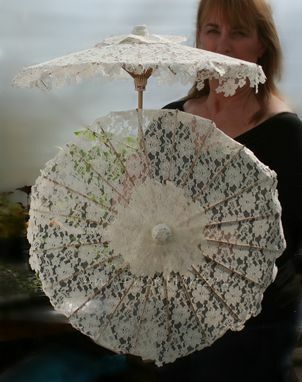 Minor variations may occur and adds to the uniqueness of the parasol. Parasols should not be used in the rain. Custom orders welcome. White, Black, Ivory or pastel colors - will take 2 - 4 weeks to complete.